Trant Engineering has been recognised for its unwavering commitment to training staff across the board. 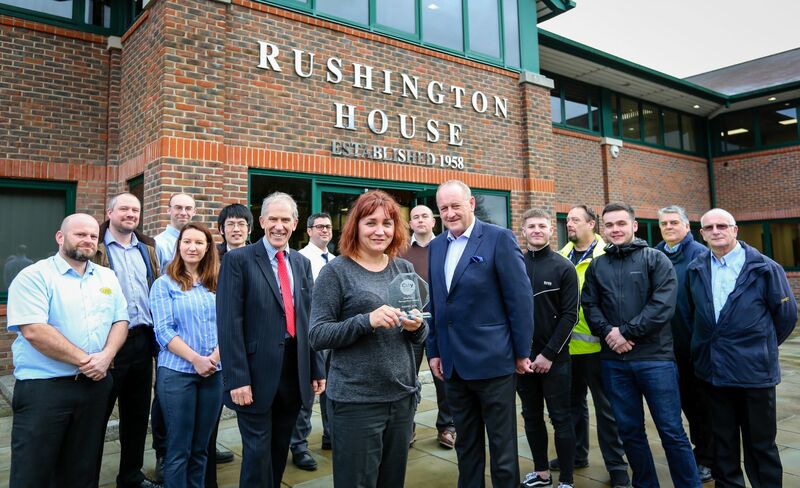 The multi-disciplinary contractor, employing 1,100 people and working around the world, was awarded plaudits by a leading education and skills college on the south coast of England. Southampton City College, which provides apprenticeships and sector-focused courses, presented Trant Engineering with the Employer Recognition Award at the college’s annual awards ceremony. Established 61 years ago and headquartered near Southampton, Trant Engineering operates in heavily regulated industries where skills and on-going training are essential. Sectors include energy, water and process, oil and gas, defence, marine and nuclear decommissioning. Maggie Stefaniak, Training Coordinator for Trant Engineering’s Technical Development & Training Department, said the company was “extremely honoured” to receive the award. She added: “It recognises our high level of commitment towards the training and personnel development of the workforce and also our involvement in supporting our students’ development through providing support such as work experience and careers advice. “Our commitment to workforce training and development has never been stronger. “Over the years we have overseen more than 100 apprentices and students reach their potential and achieve vocational and trade qualifications at City College, such as business and administration, accounting technician (AAT), qualified assessor, electrical installations, plant maintenance, carpentry, bricklaying, engineering, health & safety and compliance. “We have also been given opportunity to develop our first-line managers, coaches and mentors through courses fully funded by the European Social Fund. Reflecting latest industry expectations, Trant’s focus is on engineering, procurement and construction (EPC). As a highly-regarded EPC contractor, the company is responsible throughout projects - from design and procurement to commissioning and handover. Contract locations include the Channel Islands, Ascension Island and Falkland Islands, as well as across the UK. Trant Engineering’s staff retention rate is reportedly amongst the highest in industry – an incredible 132 staff to date have received 25-year service awards. Earlier this year, presenting five members of staff with their 25-year awards, company Chairman Patrick Trant spoke of the company emphasis on technology. He said: “We are investing more than ever in smart technology – from the way we undertake engineering design, technical drawings, communications, customer care apps, etcetera. “Underpinning a lot of our current and future projects is our in-house engineering capability including civil, mechanical, electrical, process, automation, telemetry, systems integration and commissioning. Southampton City College’s awards night celebrated outstanding talent by recognising Trant Engineering, fellow company Harvest Fine Foods, more than 40 students and apprentices and six staff. The event was attended by more than 200 people recently, with Mayor of Southampton Councillor Stephen Barnes-Andrews presenting the award to Trant Engineering.